Serving Northern Virginia. 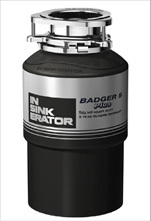 All "InSinkErator" brand name food waste disposal systems are currently available here. Please select and view your garbage disposer. Learn about prices, features, and FREE warranties. After making your garbage disposer selection, please call ACE Handyman Home Improvements, CO. for prompt garbage disposer replacement services at: 703-941-7070! 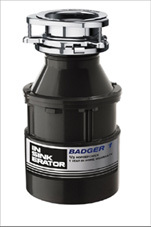 This Badger model provides more power and includes a longer warranty than the Badger 1 model. This Badger model provides more power and includes a longer warranty than the Badger 5 or 1 models. Our Best Badger Disposal Installed Today! -Rugged stainless steel construction (for increased reliability). Our ultimate model offers you premier performance with hi-tech PLUS features. Auto- Reverse Jam sensor Technology and Much More! 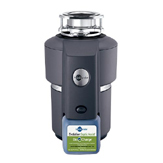 The only septic disposer that features injection technology with Bio-Charge treatment. 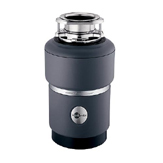 No competitive brand can claim enhanced digestion because only Evolution Septic Assist Disposer injects Bio-Charge into the grind chamber every time the disposer is activated. Bio-Charge is a fresh, citrus-scented solution featuring natural microorganisms that help break down food waste. 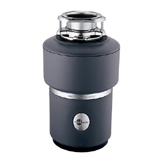 The best food waste disposer for homes with septic systems. With Bio - Charge solution injections.